HE DID IT! Ralph Pelly and his dreadlocks met Dieudonne Nahimana, founder of New Generation Burundi, at a Street Action event earlier this year. And a crazy idea was born – to cut off his dreads to raise money for New Generation. Through his Just Giving page (www.justgiving.com/fundraising/Ralph-Pelly2) he has raised almost £3,000 for New Generation. The big cut happened yesterday. All we can say is a huge THANK YOU to Ralph and all his supporters. And to his dreads. May they rest in peace (on the barber’s floor). “Both me and my dreadlocks have come a long way over the last fourteen years! 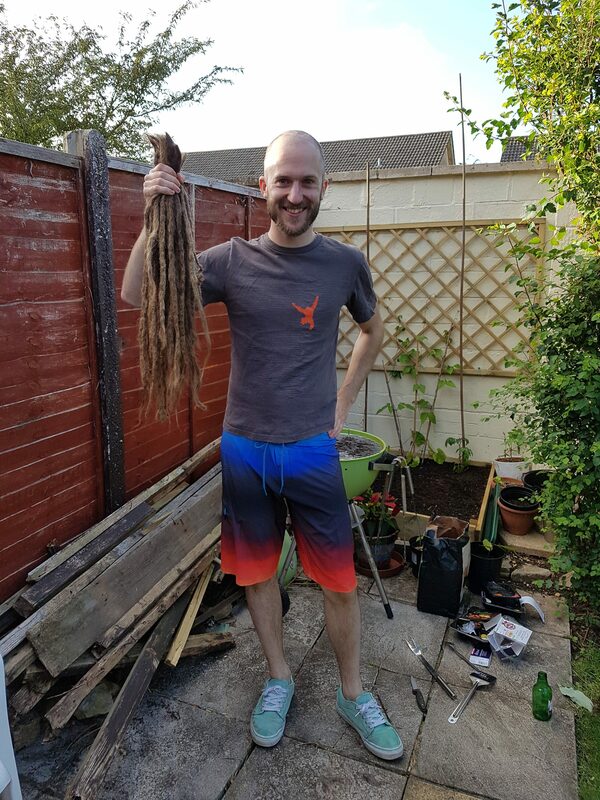 I’ve always said that the only way I could ever cut my dreads off would be if I did it for an incredible charity, and now I’ve found one I’m finally going through with it! I’m happy to have found a great charity that I can give my full support to, who I know will really appreciate the funds and will put them to good use. Street Action is the UK partner of a small charity called New Generation, that looks after street children in Burundi. More than just feed and provide shelter for them, New Generation’s aim is to train their young people to become future leaders, to help bring Burundi out of the cycle of violence and poverty. I have met the founder, Dieudonné Nahimana, who was once a street child himself and has gone on to create this charity. He is doing incredible work to heal the divisions of the civil war. My good friend Nathan is also currently helping them to build their new campus in Bujumbura, the capital of Burundi.